Shah Rukh Khan fans are eagerly awaiting the release of his much-awaited film ‘Zero’ and are excited about the trailer release that the makers are all set to unveil with a grand event on his birthday at IMAX Wadala. A day prior to the trailer release the Raees Khan has shared two posters of the Aanand L Rai directorial introducing the characters of Anushka Sharma and Katrina Kaif and it has set the social media on fire. In the two posters, Bauaa Singh is seen sharing a moment with his leading ladies, Katrina Kaif is depicting the role of an actress whereas Anushka Sharma is playing a differently-abled girl. In the poster, Katrina Kaif is bending over Bauaa to kiss him. She is wearing a thigh-high slit red gown while her hair falls on her shoulder. In the picture, Shah Rukh is seated on the armrest of Anushka Sharma’s wheelchair. ‘Zero’ revolves around Bauua, a vertically challenged man essayed by SRK. According to the makers, it is a story that celebrates life. 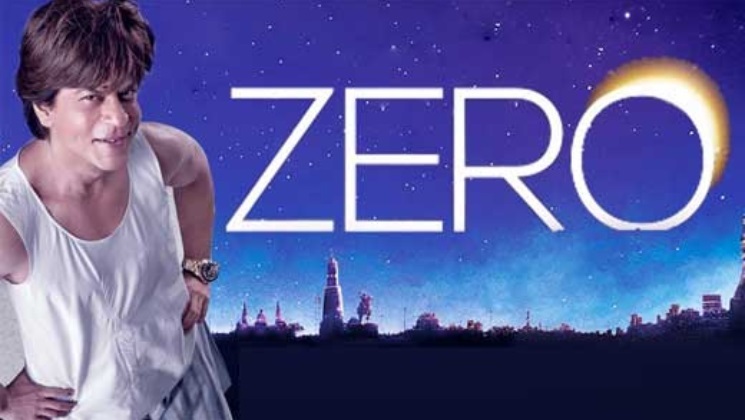 Produced by Red Chillies Entertainment and Colour Yellow Productions, ‘Zero’ is all set to hit screens on 21st December 2018.